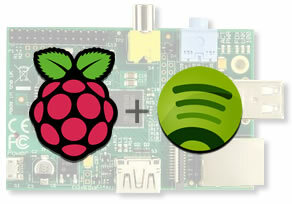 Spotify has an unofficial “Spotify for Linux” release, but it is GUI-based and I am running my RPi headless and connecting exclusively via SSH, so that doesn’t work for me. Plus, I couldn’t get it to install on the ARM-based Pi. The program amixer is a command-line mixer for the ALSA soundcard driver which will allow you to control the volume level of the speaker connected to your Raspberry Pi. Change the volume by changing the last number. 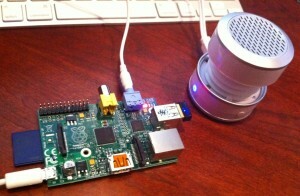 I’ve found that, for my RPi and mini speaker, 50% is effectively equal to a volume of 0 and 100% is 10. I made a simple little bash script to help me quickly set the volume levels (H/T to jerryjvl for his StackOverflow answer detailing a usable conversion algorithm). # and hides the amixer implementation. # be the top number and make that a little louder? # NIGEL: [pause] These go to eleven. The bash script and helper function allow you to set your speaker volume in a more intuitive way by typing commands like vol 2 or vol 10 at the command line. That’s all there is, now you can use your Raspberry Pi as an interface to your home entertainment or in-house speaker systems. Pretty nice. Have an interesting first Raspberry Pi project you want to share? Send me a link or leave it in the comments and I will link to it from this post. Happy hacking! your command line to increase the volume in my Raspberry Pi was very helpful and did the trick. Thank you very much. Hey Thanks for the tutorial! If its headless, how is it controlled? I’m looking to implement something that will work via (androids phone) remote – with no screen, and feed into a stereo system – WITHOUT buying a Sonos and without making the phone the audio source. Kind of like the Chromecast model where the remote triggers the Chromecast to connect with Netflix – but with an analog audio out. @Dave S: You have to SSH into the RasPi and control it via command line and the commands mentioned in the post. Hello do you know any way that i could use the info from playlists of despotify or current song and make an interface with like 4 pushbuttons and an lcd that will control the whole thing?… I would like to put all that in a 1U enclosure i think it would be awsome to have it in a coffee shop playing music all day. Hi Thanks for this tipp. If you were curious, I added one more program to install “libtool-bin” which installs the libtool command required by make. I also removed subversion since you can use the git repo without installing anything.